Distinctive style meets rebellious spirit in the first-ever 2018 Toyota C-HR. Introducing an edgy new ride that effortlessly takes center stage. Uniquely expressive, C-HR’s precision-cut lines let it shine from every angle. This is the look that moves you. Standard vortex-styled 18-in. Sport alloy wheels1 perfectly complement C-HR’s unique design. Standard halogen headlights with unique cluster LED Daytime Running Lights (DRL), plus a head-turning set of artfully sculpted taillights, shine a brilliant light on C-HR’s edgy look and feel. Sitting atop the raked rear window is a cantilevered rear spoiler, adding an extra touch of attitude to C-HR’s unmistakable silhouette. The result of an integrated styling decision, C-HR features smooth, stylish and thoughtfully designed rear door handles. 1 18-in. tires are expected to experience greater tire wear than conventional tires. Tire life may be substantially less than 24,000 miles, depending on driving conditions. 2 The available R-Code adds differentiation with a white-painted roof and side mirrors. C-HR’s interior is intuitive and further showcases the car’s signature diamond-inspired look and feel. Take hold and take control. C-HR features a premium leather-trimmed steering wheel and satin-plated shift knob, giving this cabin the perfect blend of elegance and sportiness. You’re cool. But your friend likes it warm. Well, with C-HR’s standard dual zone automatic climate control system, you can both have it your way and ride in total comfort. On XLE Premium, C-HR’s front bucket seats come with a heating feature that helps you stay at that perfect temperature. C-HR’s standard auto-dimming rearview mirror is designed to reduce that unwanted nighttime glare to help provide you with a clear view. Included in this mirror is a full-color display that shows what the standard backup camera1 detects. C-HR’s rear hatch opens up to reveal a large cargo space2 ready to help you transport all your favorite stuff. And with its standard 60/40 split rear seats, you can carry even more than you could before. 1 The backup camera does not provide a comprehensive view of the rear area of the vehicle. You should also look around outside your vehicle and use your mirrors to confirm rearward clearance. Environmental conditions may limit effectiveness and view may become obscured. See Owner’s Manual for additional limitations and details. When you’re always on the move, you don’t want to waste time searching for your keys. That’s why C-HR is available with the Smart Key System1 with Push Button Start. 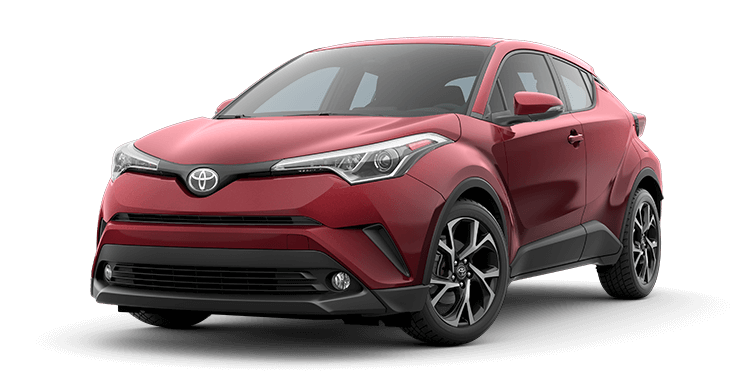 This lets you unlock the front doors and rear hatch, plus start C-HR, far more easily—all while the key fob sits comfortably in your pocket or bag. This is how you make an entrance. When you approach C-HR XLE Premium with your Smart Key1 fob and touch the door handle sensor, the power mirrors will fold out and display an illuminated “Toyota C-HR” logo on the ground, just below the door. You can use a button to manually activate C-HR’s standard Electric Parking Brake, or set it to automatically engage as you park. This system also includes the convenient Brake Hold feature. Turn it on with the push of a button, and then just drive normally. As you drive, whenever you fully stop the car with your foot on the brake pedal, the MID will indicate the Hold function, allowing you to lift your foot off the brake pedal. The car will stay stopped until you press the accelerator. Inside the gauge cluster is C-HR’s standard 4.2-in. TFT Multi-Information Display, designed to give you all of your go-to information at a glance. See your average mpg, outside temperature, driving modes and trip information. With C-HR’s touch-screen display, you’ll never miss a beat. Its standard AM/FM radio, Aha Radio™ app2 with over 100,000 stations, iPod®3 connectivity, Bluetooth®3 wireless technology with streaming connectivity,4 and six speakers help ensure you always have the perfect soundtrack. And thanks to the standard high-resolution 7-in. touch-screen, all of your go-to apps are just a tap away. C-HR’s outside mirrors include an available auto-folding feature. Just press a button, and the mirrors fold in, shrinking C-HR’s overall width to help you squeeze into those tighter parking spots. These mirrors also fold in automatically when the doors lock. 1 The Smart Key System may interfere with some pacemakers or cardiac defibrillators. If you have one of these medical devices, please talk to your doctor to see if you should deactivate this system. 2 Aha Radio is a trademark of Harman International Industries Inc. Apps/services vary by phone carrier and are subject to change. Data charges may apply. 3 iPod® and iPhone® are registered trademarks of Apple Inc. All rights reserved. 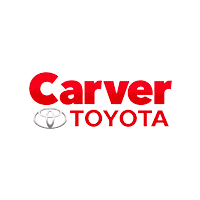 4 The Bluetooth® word mark and logos are registered trademarks owned by Bluetooth SIG, Inc., and any use of such marks by Toyota is under license. A compatible Bluetooth®-enabled phone must first be paired. Phone performance depends on software, coverage and carrier. 5 Apps/services vary by phone/carrier; functionality depends on many factors. Select apps use large amounts of data; you are responsible for charges. Apps and services subject to change. See toyota.com/entune for details. Transforming C-HR’s horsepower into forward motion is an advanced Continuously Variable Transmission with intelligence and Shift Mode (CVTi-S). Keep it in “D,” and it does all the work, giving you a smooth and efficient drive. And for those times when you want to take more control, its Sequential Shiftmatic Mode lets you manually shift between seven virtual gears. C-HR’s newly developed MacPherson strut front suspension with SACHS dampers has angled strut bearings and a large-diameter stabilizer bar to help C-HR’s front end respond quickly and precisely, so you can take on those corners like a pro. And at the rear, an all-new double-wishbone suspension utilizes SACHS shock absorbers with urethane upper supports—another Toyota first. You can count on C-HR to provide a comfortable ride when cruising through the city. It’s easy to take in the sights when you’re in the sport fabric-trimmed driver’s seat of C-HR. A tall seating position and wide windshield work together to give you a clear view of what’s ahead, helping you stay ready for whatever the road may bring. Sport Mode unleashes C-HR’s sporty side. Inspired by race cars, this smart tech sharpens the throttle for lively acceleration. Just step on the gas and get ready for some thrills. 1 2018 C-HR preliminary 27 city/31 highway/29 combined mpg estimates determined by Toyota. EPA ratings not available at time of posting. Actual mileage will vary. ^2018 C-HR preliminary 27 city/31 highway/29 combined mpg estimates determined by Toyota. EPA ratings not available at time of posting. Actual mileage will vary.